Wyandanch, New York, USA. March 26, 2017. 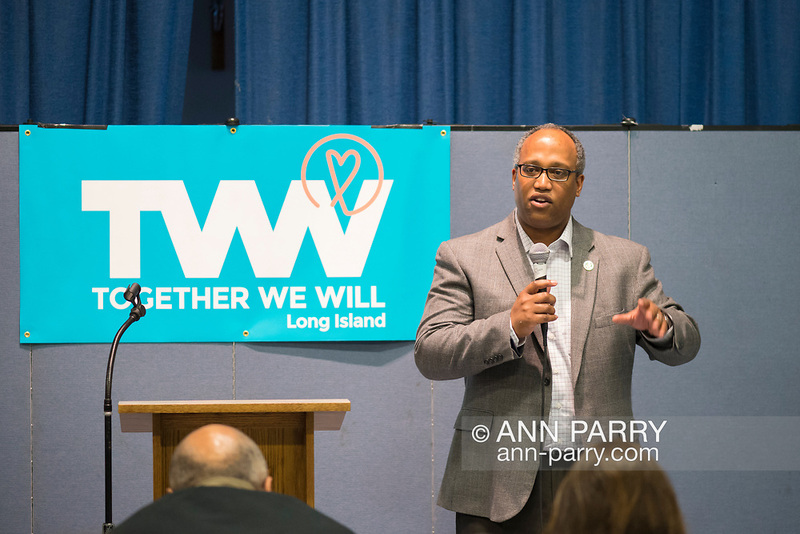 DuWAYNE GREGORY, Presiding Officer and Suffolk County Legislator (Democrat - District 15), is speaking at Politics 101 event, the first of series of activist training workshops for members of TWW LI, the Long Island affiliate of national Together We Will. One of the 5 speakers referred to groups such as TWWLI as activist pop-up groups.